When I was a little girl, I studied at SRK Marian Convent, Tambun, Ipoh. I enrolled into my standard one, Darjah Satu Mawar, and my class teacher is Puan Loo. It was in 1991, a staggering 23 years ago. I still remember vividly, the day I went to school. 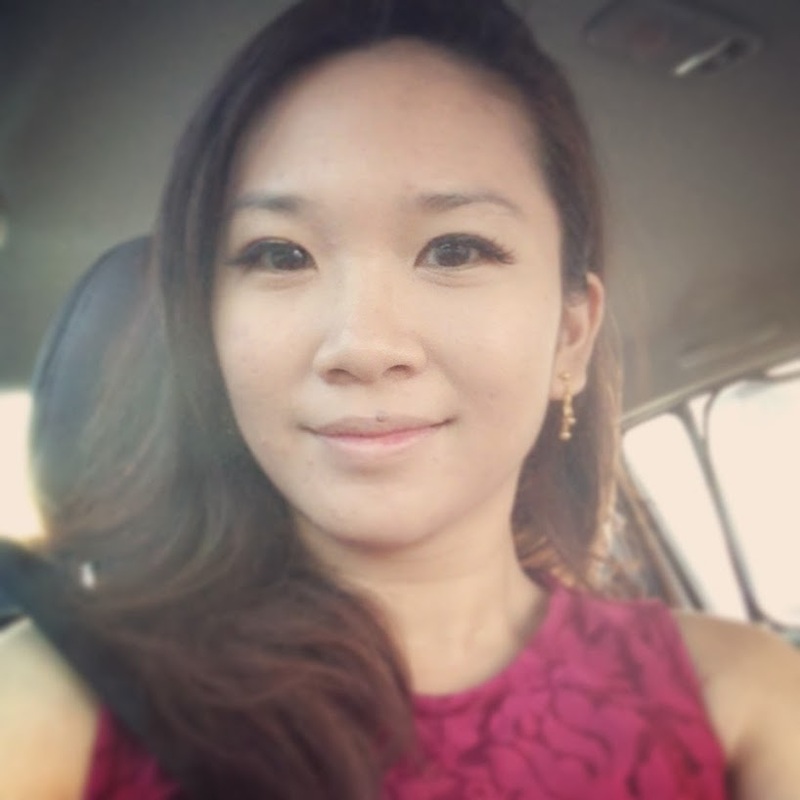 I remember feeling very scared, anxious, and curious. Hordes of parents accompanied their children, but not me. My mom put me on the bus, and asked me to recognize the uncle bus plate number and his face. I did not cry, but I watched many kids cried. Every morning, I will be the first few to reach the school and pupils were to line up according to our classes in a row. Prefects will monitor the students, and humiliating punishments such as stand up, stand outside the hall and or stand on the stage will be carried out to those who are noisy, did not sit straight according to classrow, or eating in the hall. Drinking is allowed if you ask permission and you have to walk outside of the hall to drink. Yes, that was how strict the pengawas then. The rules and regulations were absurd but from a young age, we were thought to obey and follow the rules. No negotiation, no questions asked. My first friend was Muna Nadiah. I remembered her very well because she has a frizzy beehive hair. Then after some time, she donned a tudung to school and she was my first Malay friend who taught me what's a tudung. She says, tudung is to menutup aurat. Aurat is something that you can't show others except ur family members. Being 7 years old, I did not question her, or ridicule her. Respect was something we have instilled during our childhood. Muna also taught me about the fasting month of Ramadhan, and she says it's OK if I want to eat or drink just don't do it in front of her. Besides the Muna, the crying kids, and the illogical prefects that I have been fearful of, there were portraits on the wall that I remembered- a pakcik and makcik wearing yellow. I stared so strong at the portrait, I wondered, who was this man and woman, why are we putting their faces on the wall. Then it stroke me! These two must be the founders of the school! 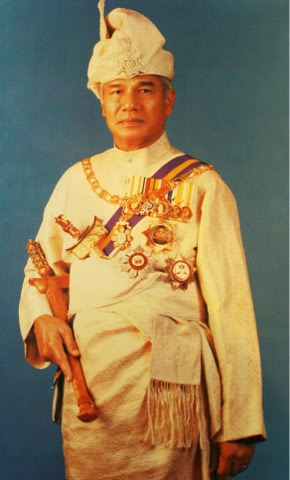 "Rahmat bahagia, Tuhan kurniakan, Raja kita selamat bertakhta", Sultan Azlan Shah's image will pop into my head. Same applies to the Lagu Negeri Perak. Today I can't believe that Sultan Azlan Shah has gone to meet with his maker. I may not know him personally, but I'm sad. Perak is such a lovely state to love in, and throughout my stay there, never once any Perakians that I know complained or criticised our ruler (Except the MB Zambry vs MB Nizar case). For me, he will always be immortalized as the man in the portrait of my childhood. Thank You Sultan Azlan Shah! 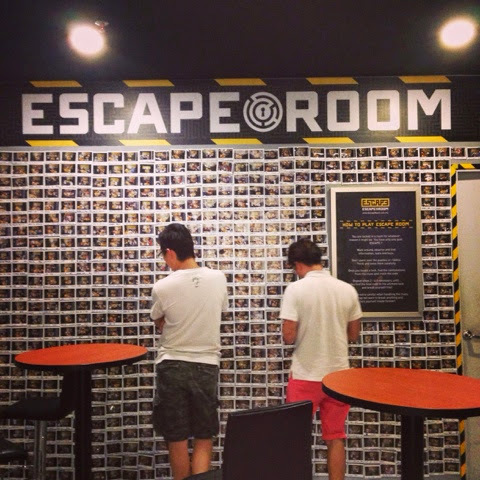 Ah Boy have been talking about his experience in some abbatoir theme game in Escape Room at e@Curve. 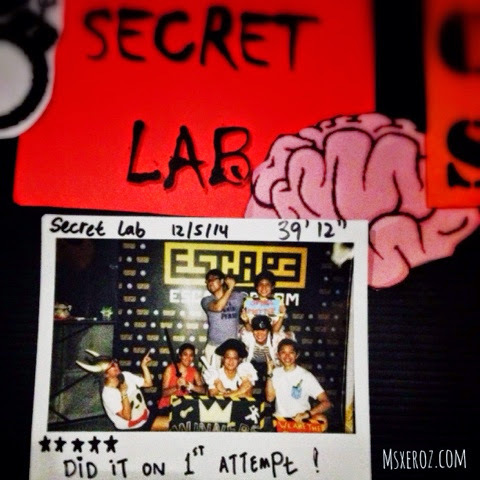 We were really fascinated by the mysteriousness of this game and one spontaneous night, I booked a slot, with 5 stars difficulty- The Secret Lab! 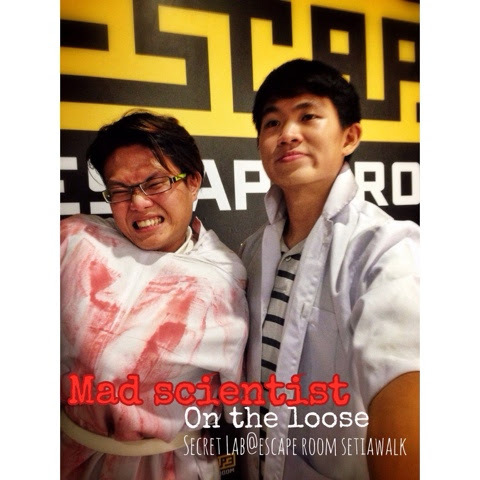 The story revolves around a crazy cuckoo scientist who locked us in his tiny house. We were there as reporters, it seems. As a renown scientist, his livingroom consisted of weird choice of furnitures LOL! 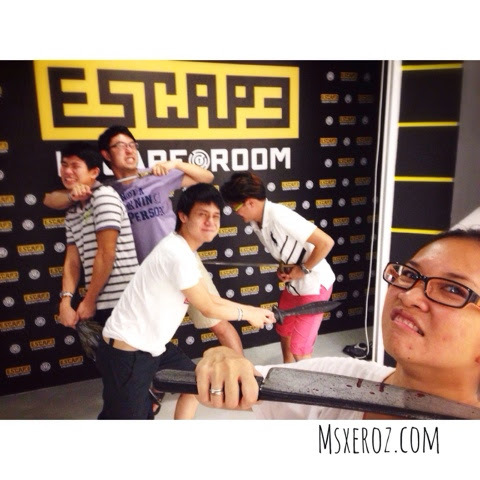 So our mission was to escape from the hidden room, which was filled with a toxic gas released from the ceiling! 45 minutes to get out of the scientist's house, or we shall all perish and ended up being subject of his research! The first room (living room) was brightly lit, while the 2nd room was pitch dark! Dark was one thing, and the audio is filled with sounds of a crying woman. I am so thrilled to be here! 3rd room, there's a corpse on a bed. But it was all plasticky so ain't that frightening. The most exciting part was the 3rd room. There's so many unpredictable elements! The whole experience was so fun. 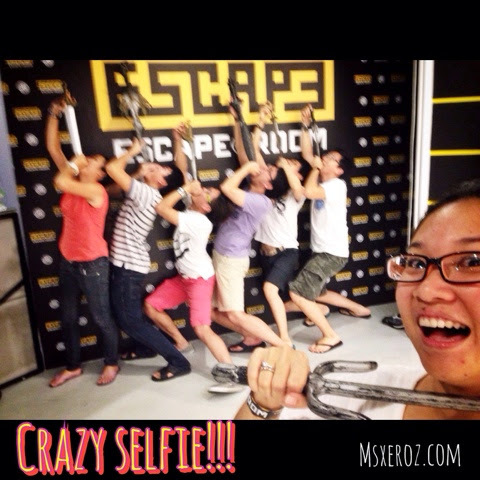 Priced at RM36/pax, I find it slightly expensive for a 45 mins thrill. It has to be a luxury form of entertainment for a normal-waged person like me! SUCCESS!!!! Thank u Scientist William (the guy in charge of our game) and his team of colleagues for making my first experience a very fun and funny one! 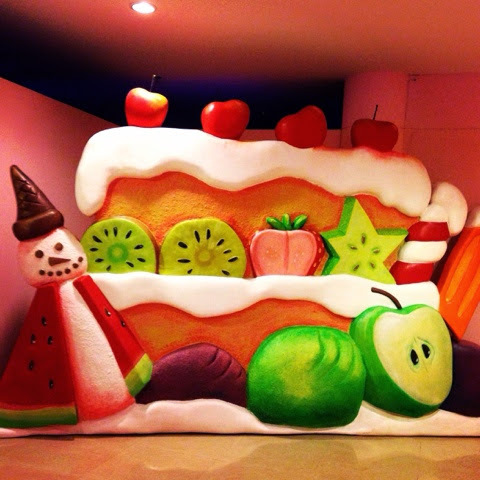 Here's a giant cake for myself. It's my 28th Birthday today. How fast time has changed. The celebration has downsized over the years, I am not complaining, though. I still feel loved, and blessed to be alive. Thanks everyone for all the wishes. I had forgotten about my birthday and woke up abruptly, by a weird dream about my rabbits. In my dream, there's an old sickly rabbit who occupied a carrier. Then, one day the old rabbit went missing. I wanted to search for it, but i saw Fluffy has given birth to 9 babies. So I told myself to put those kittens into the carrier and abandon the missing old rabbit. Then I woke up feeling shock for my capableness to commit such cruelty. Anyway, it was just a dream, and knowing that Fluffy has been spayed and unable to bear children, seeing 9 baby rabbits that Fluffy has was like a dream come true after all. I'm at office right now, and later gonna go buy some stuff for work. So, have a nice day everyone!